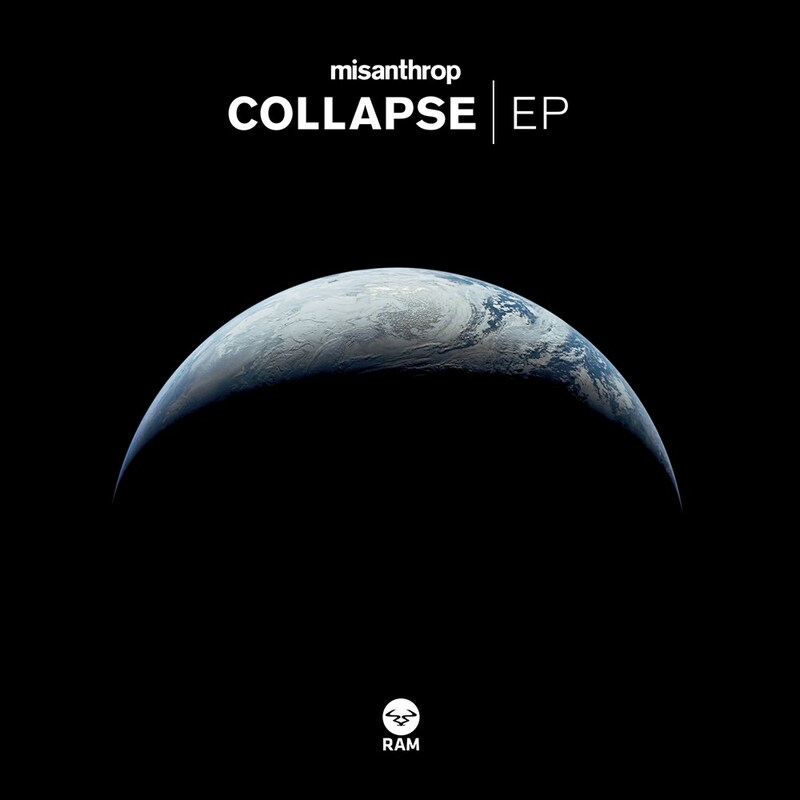 Misanthrop isn't just about the music; twelve years the producer has spent on the audio and video components of his artistic vision. Taking inspiration from the world's murkiest corners (which translates through a conundrum of rolling, methodical progression and unapologetic beat patterns) the Hamburg based producer has become infamous. Combining every aspect of his wide ranging digital skills, his latest 'Collapse EP', due to be released on internationally renowned Ram Records, presents you with a multi-platform shock to the senses. 'Collapse' begins on a note that's carried throughout the entire EP. Nastily slick, propelled forward on distorted bass and sliced up metallic hi-hats, it's diced up by imposing sample snippets; a hulking stack of technicality. A full-frontal opener, don't expect the following three tracks not to follow its precedent. Up next is 'Fragment', a precarious, angry yet convoluted track that proves Misanthrop's refusal to take a conventional approach. Filtering through and following the ambush dynamic, stocky reverb pulls you down a shoot of clanking, industrial production that only momentarily allows you to fully absorb its driving force. 'Rotor' and 'Attack' roll out in quick procession, each providing an even deeper exploration into Misanthrop's vast production repertoire. Whilst 'Rotor', having lined sets over the past twelve months, spins underneath layers of snapping percussion, pulsating subs and blaring kick drum, 'Attack' takes a different approach. In your face, obtrusive yet able to lead you onto any dancefloor, it flicks through a higher frequency whilst being underpinned by pumping drum patterns and eventually flipped with a subliminal vocal snippet. So, making a guest appearance on the Ram imprint, it's time to immerse yourself in the darkly stooped world of Misanthrop. And if there's one record to get you ready for a weekend of drum & bass, this is certainly it.